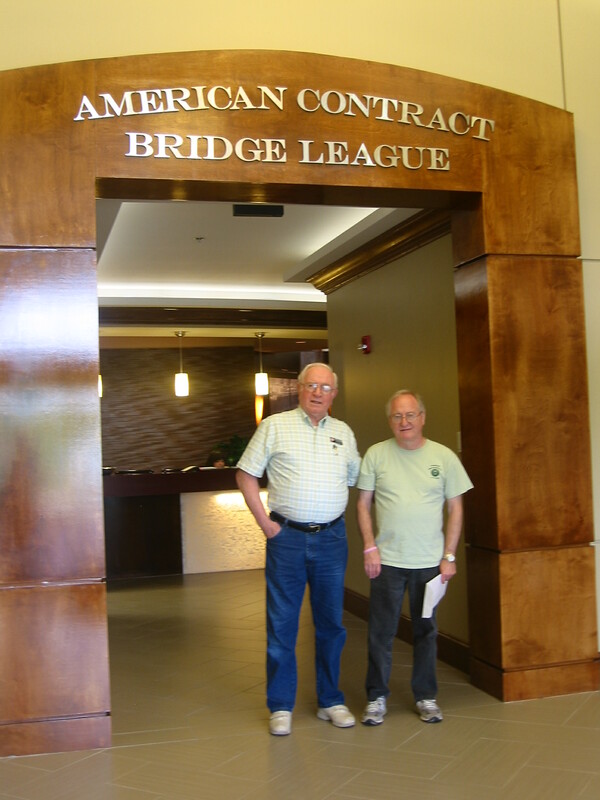 Just a quick little note to let you know Chuck and I visited the new ACBL headquarters in Horn Lake, MS. The new building has a beautiful entry and was easy to find. Dave Smith, the Associate Editor, was kind enough to give us a tour of their new building. Note Chuck and Dave standing at the entry. Dave gave us a tour of their wonderful museum. It is full of bridge history and is interactive with touch screen technology. If you have looked at the August issue of your Bridge Bulletin you will see a picture of the museums Trophy room. 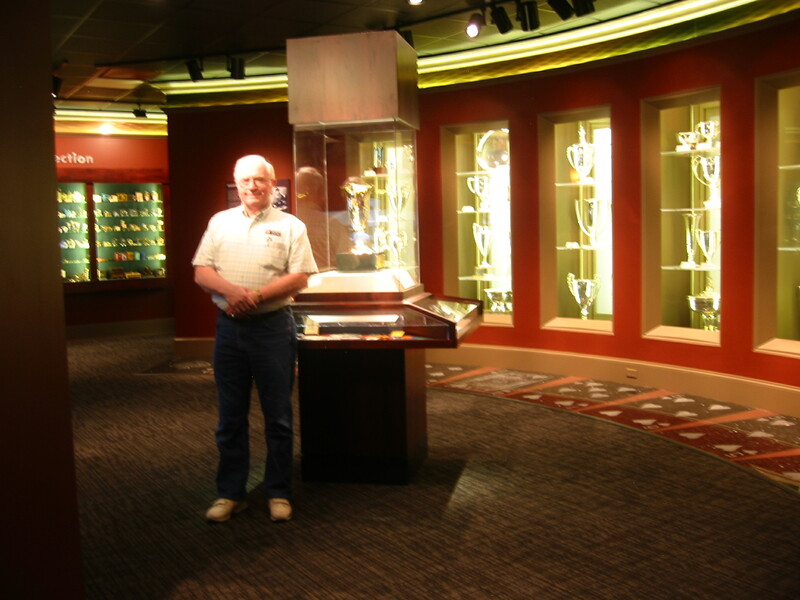 I took a picture of Chuck in the Trophy room as he was dreaming about past hands and big wins. 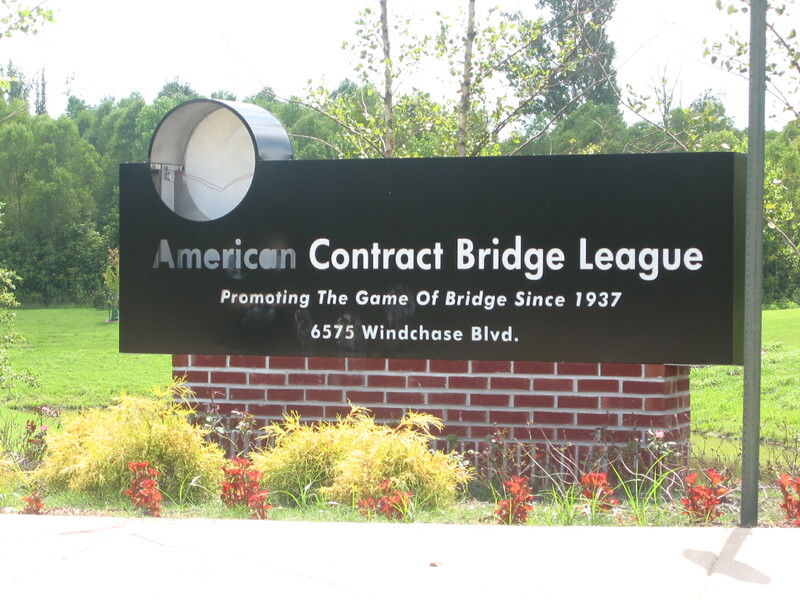 It was an easy fun trip and I wanted to share with all my bridge friends. If you have questions, I would love to share my experience with you.